David Ortiz is planning to retire after this season, leaving a big void in the Red Sox lineup. But if it was up to him, a Blue Jays superstar would be taking his place. David Ortiz is planning to retire after this season, leaving a big void in the Red Sox lineup. And if it was up to him, a Blue Jays star would be taking his place. At Tuesday's all-star game, Ortiz advocated for Edwin Encarnacion to be his replacement in the middle of the Red Sox lineup next season. But now, it's being reported that Ortiz could be slapped with a tampering violation by Major League Baseball. Major League Baseball is expected to look into David Ortiz's comments re. Edwin Encarnacion. Players subject to tampering rules as r execs. "Sorry Blue Jays, but who better than Encarnacion to do that?" said Ortiz, who brought up the subject willingly. Encarnacion later called the comments "surprising" and "unbelievable" that a player of Ortiz's stature would think so highly of him. But Encarnacion sloughed it off, saying he's not focusing on the future at all, and he's only looking forward to helping the Blue Jays make the World Series. This isn't the first time Ortiz has talked about his friend and fellow countryman taking over his spot in Boston's lineup. Back in April, WEEI, a sports radio station in Boston, posed the question of Encarnacion succeeding the Red Sox DH, and Ortiz responded by saying, "Hell yeah, he's a perfect replacement." 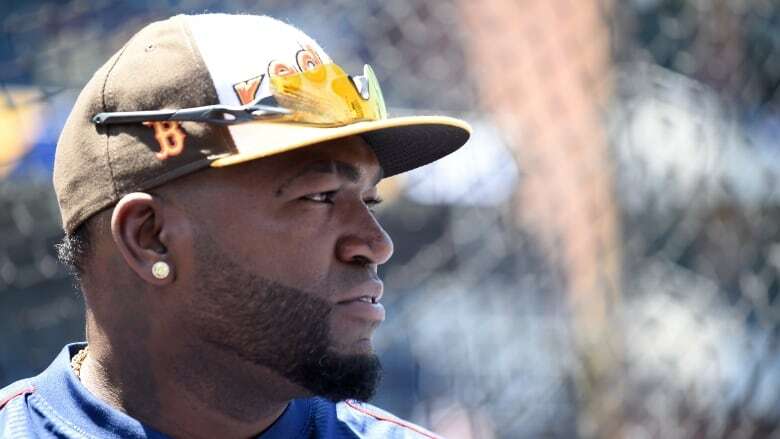 Ortiz has announced that he will be retiring at the end of the season and Encarnacion is scheduled to become an unrestricted free agent. With Boston's always-deep pockets, and Encarnacion deciding not to negotiate in-season with Toronto, the possibility is there. But for now, Encarnacion is a Blue Jay and Ortiz might have to look over his shoulder as the MLB decides what to do with his comments. MLB trade deadline: What will the Blue Jays do?